Comic Review: Tomb Raider #1 – Survivor’s Guilt! 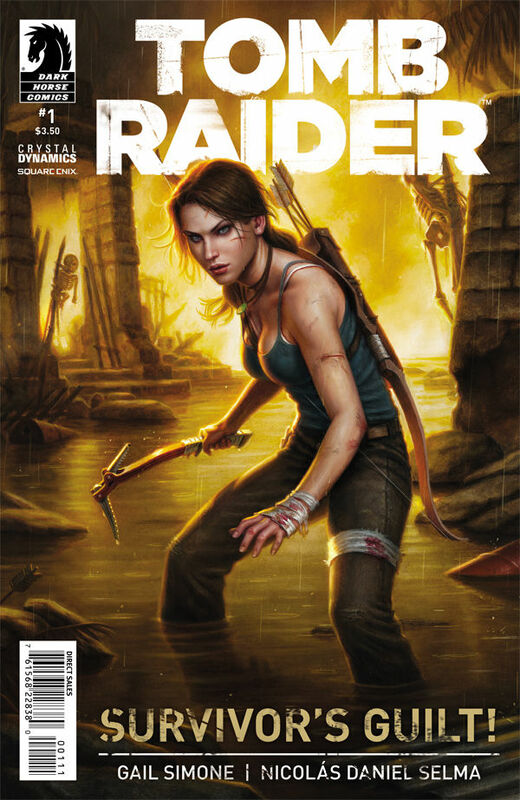 Tomb Raider #1, written by the legendary Gail Simone, is the continuation of the recent Tomb Raider video game reboot. Starting with a familiar environment, Lara is quickly reunited with old friends from the game. This series will be ongoing, and hopefully fill in the gap between the reboot and a potential sequel. I recommend completing Tomb Raider before reading this comic, as the emotional impact of the story won’t matter until you get to know the characters around Lara. Not to mention your attachment to her hatchet. Oh, and I still ship her and Sam. This issue left me hungry for more, and with a twisted ball of a mystery in my lap. It also left me a little heartbroken, but you’ll find out why when you read it. However, I’m also a little concerned. Just how gradual is her growth from naive girl to mercenary tomb raider going to be? Because she seems to have escaped Yamatai with the same personality she had before: sweet, loving, caring, and a little naïve. I’m finding it harder and harder to believe that they haven’t fundamentally ruined her core personality with this reboot. While Lara is physically a badass, she doesn’t really have that vibe when it comes to her thoughts and interactions. But this is all just based off of one issue; it still remains to be seen if she will rise to become the BAMF she once was. If you’re looking for adventure, creepy and mysterious old men, and lots of young adult angst, pick up Tomb Raider #1! That isn’t much of a plot, so I’ll try to sum up: Lara and her friends may not have actually escaped the island’s power. Buy Tomb Raider #1 here!